Spring has sprung, come, have some fun! 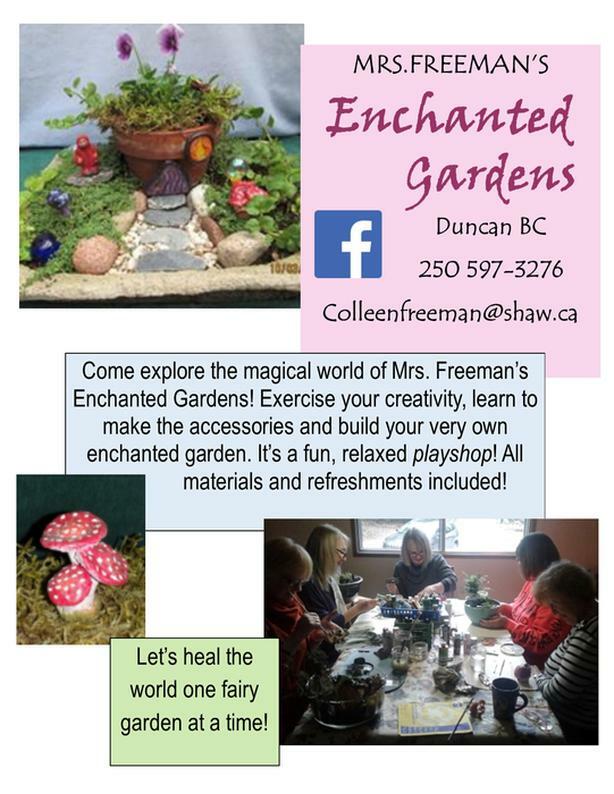 Colleen Freeman (aka Mrs Freeman's Enchanted Gardens) is offering 3 hour workshops, my place or yours. Day and start time is flexible. Price includes all supplies and refreshments. The workshops are designed for adults as participants must be able to work somewhat independantly. Come and re-discover your playful creative spirit in a safe and friendly environment.